Having problems with your lawn? EPM Landscape can help. On consultation it may not be the case that you need a new lawn, the problem may be resolved with a selection of lawn treatments or scarifying and seeding. If you require a new lawn EPM Landscape will prepare the ground with a variety of screened soils and install the highest quality turf. Desired location of lawn area will be prepared with a treated, high quality screened top soil to a minimum depth of 100mm. Rolling equipment will be used for leveling the new lawn area. 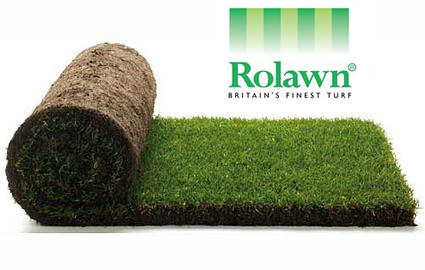 A chosen turf will be installed that best suits the conditions of the area. But! Remember new turf needs a lot of water so the location of the works must have a water supply. If not, don’t worry we can still help, by preparing the ground with a variety of lawn seed. Rolawn Turf with Indian Sandstone pathway.